The collection is organised into four parts. The introductory chapter is available online here. ‘The public sector ombudsman has become one of the most important administrative justice institutions in many countries around the world. This international and interdisciplinary Research Handbook brings together leading scholars and practitioners to discuss the state-of-the-art research on this increasingly prominent institution. Traditionally, research on the ombudsman has been conducted from a purely prescriptive or (legal) descriptive perspective, mainly focusing on the ombudsman ‘in the books’. 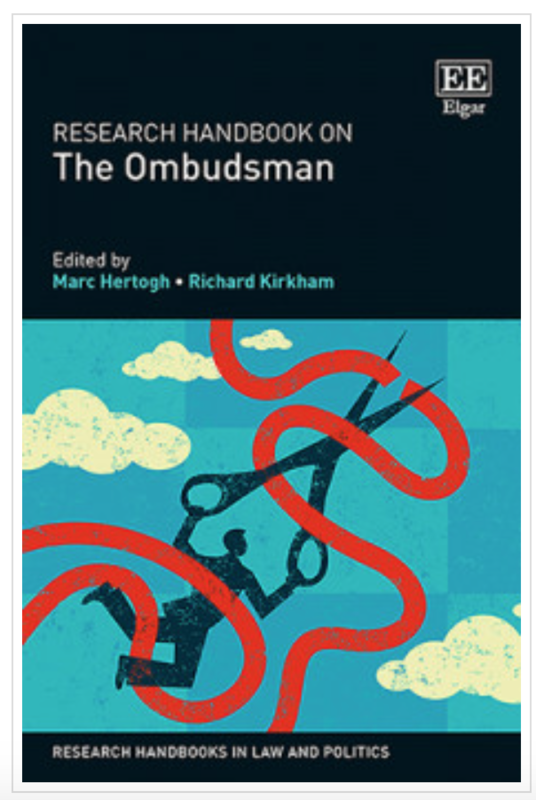 By contrast, this book illustrates how empirical research may contribute to a better understanding of the ombudsman ‘in action’. It uses new empirical studies and competing theoretical explanations to critically examine important aspects of the ombudsman’s work. The Research Handbook is organized in to four parts: fundamentals of the ombudsman; the evolution of the ombudsman; evaluation of the ombudsman; and the ombudsman office and profession. Featuring case studies from Europe, Canada, Asia, Africa, Latin America and Australia, chapters provide a comprehensive global perspective on the issues at hand. 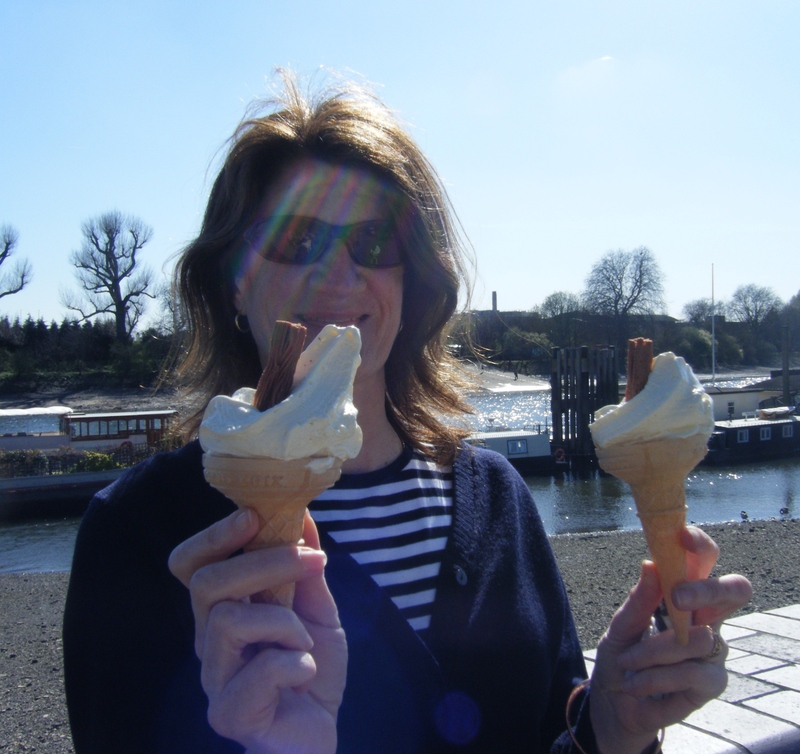 It seems that ice cream season is coming around again, so let’s check the latest figures on the gender pay gap and see how the ombuds are doing in terms of levelling out the discrepancies in scoop size in their employees’ ice cream cone payslips. Last year ombudsresearch looked at how ombuds are doing on the gender pay gap, following the implementation of the Equality Act 2010 (Gender Pay Gap Information) Regulations 2017. Under that Act, all private-sector and most public-sector employers with 250 or more employees are required to publish data on the differences in average hourly pay for men and women in their organisation – the gender pay gap. As we said in that post last year, the gender pay gap identifies potential structural inequality, not inequality or discrimination at an individual level. Reporting on the gender pay gap reveals patterns and trends about the proportion of women in senior positions, which in turn gives insights into potential barriers for women in the workplace, including the effects of prejudice and unconscious gender bias and of caring responsibilities (for children, elderly parents, etc) still primarily being taken on by women. Identifying a gap in pay can help organisations see that there’s a problem that needs addressing. Given that ombuds have a key role in ensuring that organisations and public bodies act according to principles of equality, it is revealing to see how they themselves rank in terms of gender pay equality. The latest figures have been analysed and published by the BBC in a handy online checker. As with last year’s figures, the returns cover only companies of more than 250 employees, which in the UK ombud world includes the Financial Ombudsman Service, the Parliamentary and Health Service Ombudsman and Ombudsman Services. All three are below the latest average of an 8.35% pay gap in favour of men, but the differences between them are interesting. Top marks go to the Parliamentary and Health Service Ombudsman, which has not only reduced its median pay gap but has seen a swing in favour of women – from 9.8% in favour of men last year, to 0.2% in favour of women this year. That’s a major swing. Although it means only that women are paid £10.02 for every £10 paid to men, not a major difference, it puts the PHSO in among the 14% of all reporting organisations who have a pay gap in favour of women. Ombudsman Services has made some strides, reducing their pay gap slightly from 4.3% in favour of men last year to 3% in favour of men this year. The Financial Ombudsman Service, sadly, has increased its pay gap, from 6% in favour of men last year, to 7.2% in favour of men this year. This means that for every £10 paid to men, women are paid just £9.28. That puts FOS, along with the OS, in among the 74% of reporting organisations that pay their male employees more than their female ones. A gender pay gap is not the same as equal pay, and having a gender pay gap is not evidence of intentional discrimination. The complex causes of a gender pay gap are discussed in our previous post on last year’s figures. We noted that although the figures for ombuds were at or below the national average, the problem needs to be recognised and addressed across the organisations. Training, such as training in unconscious bias, can help address the pernicious prejudices that we all have and that can manifest themselves in recruitment and promotion decisions. Organisationally, it is important to identify the factors leading to the gap and to review approaches to recruitment, retention, promotion, job grading, and coaching opportunities. Most importantly, as we stated last year, a shared commitment among ombuds to eliminating the gender pay gap would be a great start. I am delighted to have been asked to review this book by Naomi Creutzfeldt, who is an academic and researcher whose work I greatly value and respect. For someone who works as a pracademic, and so benefits from understanding both the practice and theory of ombuds work, this book is a welcome addition to the literature. For me, it is now part of a triumvirate of essential ombuds reading, along with my prevailing ‘go to’ sources of Conducting Administrative, Oversight & Ombudsman Investigations by Gareth Jones and The Ombudsman Enterprise and Administrative Justice by Buck, Kirkham and Thompson. And it is the case that this book packs a vast amount of information, opinion and comment into its 192 pages. There is an introductory Chapter on Ombudsmen and Informal Justice, with the substance of the book being divided into three sections: Part 1 Setting the Scene, Part II Empirical Discoveries and Part III The Future of Informal Justice Systems. There is also an excellent and very useful Bibliography. I did struggle a bit with the book’s premise that ombuds and ADR are one and the same. Yes, ombuds are an alternative to the courts. But I think that public-sector ombuds, with their focus on administrative justice and use of inquisitorial investigation to reach decisions which often have a public interest, are a distinct form of dispute resolution. I am more accepting of the ADR premise for ombuds whose aim is to resolve complaints to the satisfaction of the parties – although I acknowledge, as is said a few times in the book, that the public/private ombuds divide is increasingly blurry. And a minor quibble is that the book has a narrower focus than the title suggests. However, at the outset Naomi Creutzfeldt does explain that her book sets out to answer two main questions: what explains users’ perceptions of fairness and trust in ombudsman institutions; and how cultural frameworks influence citizens’ use of ombudsmen. So, in essence, this book explores how ordinary people experience informal justice. There is a fascinating research ‘puzzle’ described on page 55 relating to the annual reports of ombuds stating clearly that the outcome a person receives from their case determines their overall experience with the ADR provider. The puzzle here is that this appears to contradict the well-regarded and accepted findings of Tyler and others relating to procedural justice. Creutzfeldt goes on to explore this puzzle by combining an analysis of the rapidly developing literature on procedural justice and legal consciousness with the empirical findings from her study of Ombudsmen in the UK and Germany. This study is engrossing. It looks at national patterns and cross-national comparisons of private ombuds in the UK and Germany, and at the public/private divide in the UK by looking at a sample of ombuds from each sector. Findings include that German and UK complainants have different complaint motivations – with the former being more focused on getting back their money/what was lawfully theirs, and the latter being more concerned about changing the business process and stopping the same problem from happening to others. And that German respondents to the survey were more likely to accept a decision if the outcome was partially or not in their favour. When considering private and public ombuds in the UK, the study finds that those who have used a private-sector ombuds appear to trust it more, are more convinced that the ombuds is acting lawfully, have more confidence in the ombuds and feel a moral obligation to follow the decision. Creutzfeldt relates these findings to the different attitudes to law and ADR in Germany and the UK, with UK ombuds providing a less formal and less legalistic process than their German counterparts. She writes well and convincingly about legal socialisation, but I question to what extent people actually choose their preferred way of dispute resolution. Often, in the UK at least, people have no real choice as complaints processes – at least in the public sector – lead inexorably to an ombuds. In the final Chapter (9 Conclusion: Paths for Theory and Research) Creutzfeldt describes how throughout the book she has developed an argument that “our consciousness around ‘alternatives’ to formal legality is rooted in our national legal socialisation and lived (and constantly redefined) through our legal consciousness”. She also suggests that our expectations about ADR are guided by our pre-existing attitudes towards the formal system. It would be illuminating to explore these expectations both before and after the use of an ADR process, to see whether they are altered or reinforced. The book ends with reflections on the future development of ADR in Europe around three related areas: Ombudsmen and ADR Design, vulnerable consumers and the challenges of the digital. I think this book will be of interest to researchers, students and practitioners who work for or have an interest in ombuds. I found Chapter 2, with its concise and informative summary of Europe’s Justice Systems, to be of particular value, although as an adopted Scot I would have liked to have seen a bit more about our own system of justice. I also welcomed the clarity and explanation around what ombuds are and do, and in Chapter 6 there is a useful identification and description of the normative roles that people expect of ombuds (these being the roles of Interpreter, Advocate, Ally and Instrument). If you would like to read a different review of this book, then my esteemed colleague Nick O’Brien has one published on the UKAJI website. We are thinking about starting an Administrative Justice Book Club. And a remaining puzzle for me relates to the book cover image – what appears to be an old, battered and apparently empty suitcase. What does this signify? Answers on a postcard. Naomi Creutzfeldt, Ombudsmen and ADR: A Comparative Study of Informal Justice in Europe (Palgrave Macmillan, 2018). Carolyn Hirst is an Independent Dispute Resolver and Housing Mediation Project Worker, University of Strathclyde. In December 2017 we published a report, ‘Effects of Complaints Report 15 December 2017 Final‘, setting out the findings of a small mixed-methods research study investigating the effects of complaints on those who have been complained about. Our research team comprised Chris Gill (a Lecturer in Public Law at the University of Glasgow), Carolyn Hirst (an independent Consultant and Researcher), Maria Sapouna (Programme Leader of the University of the West of Scotland’s Master of Public Administration and Lecturer in Criminal Justice) and Jane Williams (Senior Lecturer in Dispute Resolution at Queen Margaret University). identify the extent to which employees feel included and supported by their organisation when they are complained against and the support mechanisms (if any) which are available. We knew that most research on complaints had focused on complainants and how they experience complaint processes. Relatively little attention had been paid to the way in which complaints are experienced by employees. Also, existing research in this area was predominantly confined to the health sector. This literature shows that complaints can have a significant impact on the health, well-being and work practice of medical staff. To date, however, there had been no exploration of how other areas of public administration and service might be affected by complaints. We decided to look in this study at the complaints experienced in local authority planning departments and housing associations. This was because they represented contrasting areas of public service provision across the following dimensions: types of service users, statutory function and context, and both public and independent sector service provision. These sectors were also chosen because they had relatively high levels of complaints to the Scottish Public Services Ombudsman and, therefore, represented areas where complaints were likely to be an important issue for staff. Our research methodology, including its design and limitations, is detailed in our report Essentially, we carried out an online survey of 132 individuals who had been subject to a complaint and follow-up qualitative interviews with 16 people who had responded to the survey. The key finding of our research was that being complained about affects the health and well-being of these employees, their work practice, and the way they perceive service users. 71% reported their work practice was negatively affected by a complaint, 67.2% reported their health and well-being was affected, and 61.2% reported their attitude to service users being affected. Our study also looked at organisational context, the nature of the complaint and complainant, the nature of the complaint process and the nature of the support provided – and again these are set out in detail in the report along with anonymised quotes from respondents. For most of those who are affected, the effects are moderate, although for a small minority the effects are severe and can be long lasting. Important effects of complaints include emotional trauma, loss of confidence, double-checking work, avoiding certain tasks, and being more cautious and distrustful of service users. Attitudes to learning from complaints remained surprisingly positive, even where people had had negative individual experiences. Organisational context is important in terms of the effects that complaints have, with planning staff more likely to report effects on work practice than housing staff. Factors that appear to explain the likelihood that complaints will have a negative effect include the level of experience of the member of staff, whether the complaint is perceived as personal, whether the complaint is perceived as an attack on professionalism and whether the complainant is perceived as vexatious. The complaint process was generally seen to operate fairly, although those who had been affected negatively by a complaint had a more negative view of the complaint process than those who were not affected. Various aspects of the complaint process were seen as problematic by those who had been negatively affected by a complaint, including perceptions that complaint processes favour customers and are open to abuse by vexatious complainants, that there is a lack of information about, and involvement in, complaint processes, that processes are lengthy and communication is poor, and that complaint processes can lack impartiality and cause conflict between colleagues. Support may be particularly required for more junior staff, and measures seen as potentially helpful include developing a positive culture around learning from complaints, managerial support, peer discussion and support, and ensuring the complaint process operates fairly. We have some funding from the University of Glasgow to translate the findings of this research project into practical resources. Our plan is to produce a short guidance document which will outline our key research findings, highlight the importance of the issue and recommend key measures to public service providers. We will also produce a Model Policy Document on the approaches and actions which all public sector providers could take to help them support staff who have been complained about. This can be adapted and adopted to suit. And we need your help to produce this Model Policy. What we are looking for are examples of what has worked in practice to support staff in these situations – and the type of actions which might be helpful. We would like to hear from both those who have been complained about and those who have a role in supporting them – and ask that you contact cahirstworks@aol.com before 29 June 2018 if you would like to contribute to this work. Chris Gill is a Lecturer in Public Law at the University of Glasgow. Carolyn Hirst is an independent Consultant and Researcher at Hirstworks. The differences in hourly rate must be reported as both mean average (the result of adding all the rates and dividing between the number of rates) and median average (the mid-range number of all the rates). Mean averages give a useful overall average but can be skewed by bonuses applied to only some employees. Median averages give a ‘typical’ rate, what a middle-earning employee earns; they don’t tell you as much about the overall picture but are also less likely to be distorted by outliers. The resulting data (available on https://gender-pay-gap.service.gov.uk/public/assets/pdf/gender-pay-gap-explained.pdf) have been pored over, analysed, celebrated and dismissed in the news over the past few days. Some organisations have had shamefully poor report cards; others surprisingly good ones. The reasons for gender pay disparity are many and complex, and the gender pay gap reporting requirement is a fairly crude measure of equality, but it is one that can be measured, and in this sense the initial reports serve as a valuable benchmark against which to gauge progress. How organisations respond to the results is the true test of their integrity in relation to gender pay equality. Is this about equal pay? The gender pay gap is not the same as equal pay, which is paying men and women the same for the same or similar work. Failing to comply with the equal pay legislation is illegal (and has been since the Equal Pay Act of 1970, although it is now covered by the Equality Act 2010). However, having a gender pay gap is not illegal (although failing to comply with the 2017 Regulations is – see below). The gender pay gap is the difference in average hourly wage of all men and women across the organisation. The pay gap generally reflects men being paid more than women, on average. In some organisations, the pay gap is in favour of women; ie the average hourly wage is higher for women than for men. This is true for 13% of organisations reporting. A further 7% reported no pay gap at all. The vast majority reported a pay gap in favour of men. Failure to comply with an obligation imposed by these Regulations constitutes an ‘unlawful act’ within the meaning of section 34 of the Equality Act 2006 (c. 3), which empowers the Equality and Human Rights Commission (EHRC) to take enforcement action. The EHRC has been in the news making it clear that it will be rigorous in investigating non-compliance with the Regulations and, where necessary, taking enforcement action. The median gender pay gap in Britain in 18.4%, according to the Office for National Statistics. However, that figure covers all organisations, not only those with 250 or more enployees. The median gender pay gap reported to the government ‘gender pay gap portal’ is 9.7%, according to the BBC (see http://www.bbc.co.uk/news/business-43651780). Almost eight out of ten of the more than 10,000 organisations reporting on the portal pay men more than women. The gender pay gap identifies potential structural inequality, not inequality or discrimination at an individual level. Although there is some criticism of the crude nature of the data being reported, it is generally accepted that reporting on the gender pay gap reveals patterns and trends about the proportion of women in senior positions, which in turn gives insights into potential barriers for women in the workplace, including the effects of prejudice and unconscious gender bias and of caring responsibilities (for children, elderly parents, etc) still primarily being taken on by women. Identifying a gap in pay can help organisations see that there’s a problem that needs addressing. A female employee earns 33p for every £1 paid to a male employee of Ryanair. A female employee of the Financial Ombudsman Service earns 93p to every £1 paid to a male employee. These problems will be specific to the employer or sector. For example, many airlines are reporting a high gender pay gap because pilots, who are paid much more than cabin crew, are predominantly male. In education, one factor is that women with family responsibilities are drawn to a sector that offers part-time and term-time work, which for administrative staff and teaching assistants usually means lower hourly pay. These are not excuses for tolerating a pay gap, however. Rather than tolerating a pay gap, organisations need to consider their recruitment and promotion strategies. What causes a gender pay gap? Men at the top: The highest paid sectors are male-dominated; women often end up in employment sectors that offer narrower scope for financial reward. Undervaluing some work over others: Some sectors or jobs that are primarily female dominated are not valued and thus not as well paid as male-dominated sectors and jobs. Not sharing caring: In the UK caring for family and children is still predominantly seen as ‘women’s work’ and mostly carried out by women. The gender pay gap is affected by more women being in part-time work and taking time out in order to accommodate caring responsibilities. Stereotyping and unconscious bias: Recruitment and promotion are key to addressing the imbalance if women in senior positions, where pay is highest. Efforts need to be made to combat bias, prejudices and assumptions. Assumptions may also be made about women not asking for or accepting promotions because of their caring responsibilities or not negotiating higher pay on appointment. Many employees assume pay parity and are not aware of gender discrepancies and hence do not push for change. More details on the factors that contribute to a gender pay gap are given in the EHRC’s research report, The Gender Pay Gap, published in August 2017. Four ombuds schemes have reported: Legal Ombudsman (LeO), Parliamentary and Health Service Ombudsman (PHSO), Financial Ombudsman Service (FOS) and Ombudsman Services (OS). Staff are divided into four groups (quartiles) according to level of pay: top quartile (highest pay), upper middle, lower middle and lower quartile (lowest paid). In all four ombud services, women are in the majority in the top two quartiles. In PHSO, LeO, and Ombudsman Services women are in the majority in all four quartiles. Three of the services award bonuses: In FOS, roughly equal percentages, 96% of both men and women, received bonuses, although women’s mean average bonus was 6.5% below men’s. In PHSO, 25% of women and 26% of men received bonuses, and women’s mean average bonus was 6.1% higher than men’s. In Ombudsman Services, 18% of women and 14% of men received a bonus, and women’s mean average bonus was 0.9% higher than men’s. LeO did not award bonuses. Although it’s difficult to reach any robust conclusions from the data, it appears that ombuds’ report cards generally look better than average in terms of pay discrepancy. All except the PHSO had a median pay gap lower than the average reported figure of 9.7%, and the Legal Ombudsman has no median pay gap. Representation of women at the higher-paid levels in all these ombud services is promising. Nevertheless, it is disappointing that all have a gender pay gap, at least in terms of mean average, suggesting work to do to achieve gender equality. It will be interesting to see how they respond. The problem – and it should be recognised as a problem, even if the averages among ombuds are at or below the national average – needs to be addressed organisationally and individually and requires leadership. At an individual level, training in unconscious bias can help address the pernicious prejudices that we all have and that can manifest themselves in recruitment and promotion decisions. Organisationally, it is important to identify the factors leading to the gap and to review approaches to recruitment, retention, promotion, job grading, and coaching opportunities. A shared commitment among ombuds to eliminating the gender pay gap would be a great start. Margaret Doyle is a mediator and researcher and manages the ombudsresearch.org.uk website, which was set up as part of a mapping project on the use of informal resolution by ombuds in the UK and Ireland. She is also Senior Research Fellow with the UK Administrative Justice Institute at the University of Essex and an independent member of the Validation Committee of the Ombudsman Association. The full research review is available to download at the link above and for viewing below. Nick O’Brien is Honorary Research Fellow, Liverpool University, and the co-author, with Mary Seneviratne, of Ombudsmen at the Crossroads (Palgrave McMillan, 2017). This research review, by Dr Nick O’Brien, was commissioned by the UK Administrative Justice Institute and published in January 2018 to inform debate about reform of public-sector ombuds in the UK. Below is a brief overview of the context, including developments in relation to draft legislation. Consolidation of the public service ombudsman landscape in England has been a long time in the making, with the Collcutt Report calling for reform in 2000. However, on 5 December 2016, the Cabinet Office finally published the draft Public Service Ombudsman Bill, setting out its proposals for bringing together the responsibilities of the current Parliamentary and Health Service Ombudsman (PHSO) and the Local Government and Social Care Ombudsman (LGSCO) to create a new organisation with strengthened governance and accountability for complaints about public services in England and the UK reserved to Westminster. The Bill has had a long gestation. In 2011 the Law Commission issued a report making a number of recommendations for reform in the landscape of the public services ombudsman. In 2014 the Public Administration Select Committee published their report Time for a People’s Ombudsman. Robert Gordon QC subsequently carried out a review, followed by a public consultation in spring of 2015, the government’s response one year ago, and then the draft Bill in December 2016. The Bill did not appear in the May 2017 Queen’s Speech, however, suggesting that there will be a delay in implementing any reforms to the landscape. In the meantime ombudsman reform has been taken forward by the devolved administrations, with the new powers and approaches taken by the public services ombudsman in Scotland, Wales and Northern Ireland, providing evidence on best practice in the 21st century. The pause in taking forward the draft Bill provides an opportunity for researchers, legal practitioners, policy makers, parliamentarians, ombudsman, and others to exchange views on the strengths and weaknesses of the current proposals in the Bill, what aspects of change are most pressing and how change might be achieved without legislation. The House of Commons Library issued a research briefing paper on the draft PSO Bill in January 2017. This sets out the main provisions proposed in the Bill and notes shortcomings identified by individuals and organisations. During January and February 2017, UKAJI published a series of blog posts on the draft Bill, from a range of contributors and perspectives. The initial post, by Richard Kirkham and Brian Thompson, asked whether the changes in the draft legislation constitute significant reform. In the second post of the series, Gavin McBurnie compared the recommendations for reform made by the UK Parliament and the PHSO with the proposals in the draft Bill. In the third post of the series, Della Reynolds of phsothefacts explored the draft Bill from a user’s perspective and expressed disappointment at the missed opportunity to bring in real and substantive change for users. In the fourth and final post in the series, Nick O’Brien explored whether the draft Bill’s focus on a consumerist model suggests that, in England, the ‘ombudsman enterprise’ has run out of steam. On 6 March 2017, the Communities and Local Government Select Committee held a one-off evidence session on the draft PSO Bill with Mick King, Local Government Ombudsman, and Denise Fowler, former Housing Ombudsman. In July 2017, the PHSO and LGO issued a joint response to the draft Bill. In this they highlighted areas where they believe the reforms could go further and the new Public Services Ombudsman’s role could be strengthened. In October 2017, UKAJI and the University of Glasgow published research on the Complaints Standards Authority role of the Scottish Public Services Ombudsman, which involves designing model complaint handling procedures (model CHPs), monitoring the operation of those procedures (including setting data reporting requirements), and supporting the development of good practice in complaint handling. In January 2018, UKAJI published the review undertaken by Nick O’Brien on what research has been carried out on public sector ombudsman in the UK to identify what we know and don’t know. Research Report: How do complaints affect those complained about? A recent research report highlights the impact that complaints have on public-sector employees and their well-being. The researchers, from Queen Margaret University and the University of Glasgow, worked with the Scottish Public Services Ombudsman to design the research. Here, one of the report’s co-authors (and co-researcher on the Informal Resolution by Ombuds project) describes the key findings and the discussion held at a related conference on how to support individuals who are subject to complaints. I am delighted to have had the opportunity to work with Dr Chris Gill, University of Glasgow, Dr Maria Sapouna, University of West of Scotland and Jane Williams, Queen Margaret University on this empirical investigation into the effects of complaints on public service employees. We also worked closely with the Scottish Public Services Ombudsman who advised us on the research design and helped us to secure access to respondents. This report presents the findings of a mixed methods research project investigating the effects of complaints on local authority planning staff and housing association staff in Scotland. The research included an online survey of 132 individuals who had been subject to a complaint and follow-up qualitative interviews with 16 people who had responded to the survey. The key finding of the research was that being complained about affects the health and well-being of employees, their work practice, and the way they perceive service users. 71% reported their work practice was negatively affected by a complaint, 67.2% reported their health and well-being was affected, and 61.2% reported their attitude to service users being affected. For most, the effects were moderate and respondents were most likely to say they had been “somewhat” affected: 56.5% in relation to their work practice, 51.6% in relation to their health and well-being, and 52% in relation to their attitude to service users. In relation to each issue, a significant minority reported being affected “a great deal” by a complaint: 14.5% in relation to their work practice, 15.6% in relation to their health and well-being, and 9.4% in relation to their attitude to service users. Of those who reported that their attitude to service users had been negatively affected by the complaint, the three most common effects were being more cautious in dealing with certain types of service users (66.7%), being more cautious and distrustful towards service users generally (29.8%), and leaving certain service users to be dealt with by colleagues (12%). This overall picture was explored further in qualitative interviews. These interviews provided a range of insights about the kinds of effects people experienced when complained about and the factors that seemed important in determining whether they would experience a negative impact. The types of effects commonly reported by respondents included emotional trauma and loss of selfconfidence. Experience was seen as important in moderating the effect of complaints, with more experienced employees developing a ‘thick skin’ over time. Interestingly, attitudes to learning from complaints remained generally positive even where people had negative personal experiences of having been complained about. Factors that made it more likely that a complaint would have an effect on staff included: perceiving the complaint as personal (rather than about service or the organisation); perceiving the complaint as an attack on the individual’s professional identity; and perceiving the complainant’s motivation as vexatious or unreasonable. Context was also important, with planning staff more likely to be affected than housing staff. The operation of the complaint process was particularly important in terms of whether staff were likely to feel a complaint had affected them negatively. Overall, views of the complaint process were fairly positive, but those who reported being negatively affected by a complaint were more likely to have a negative view of the fairness of the complaint process. In terms of the support that respondents felt would help mitigate the negative effects of being complained about, some felt that complaints were simply ‘part of the job’ and that support was generally not required except for junior staff. Others highlighted developing an open culture around complaints, managerial support, peer support, and a fair complaint process, as means through which the impact of complaints could be reduced.